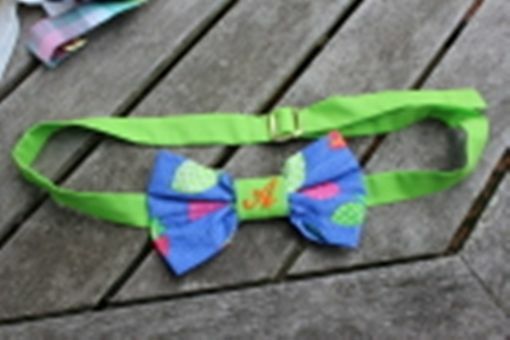 Bow Tie is made of Tuiti fruiti fabric; belt and center bow are 100% cotton. Monogram on center of bow. These can be made in any color that you want. Made just like the ones with the t-shirts on this sight. They are only made of cotton or cotton blend.